SAFE-EYES® patented mesh lenses are manufactured from stainless steel mesh and provide protection against fine to medium particles. SAFE-EYES® now has a new soft frame material which makes it extra comfortable to wear. 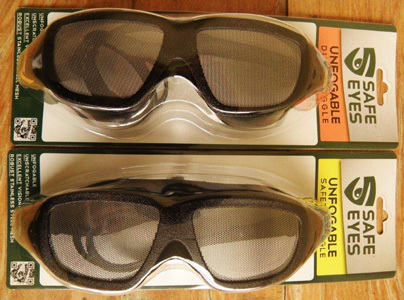 SAFE-EYES® safety eyewear really are the Ultimate Eye Protection!